Do you struggle what to get your other half at this time of the year like I do? Well look no further, this post will hopefully give you a great idea for your other half this valentines day! So Morse Toad are the brand in question today, they are a personalised chocolate service that can deliver your chocolate right to the recipients door if you wish. 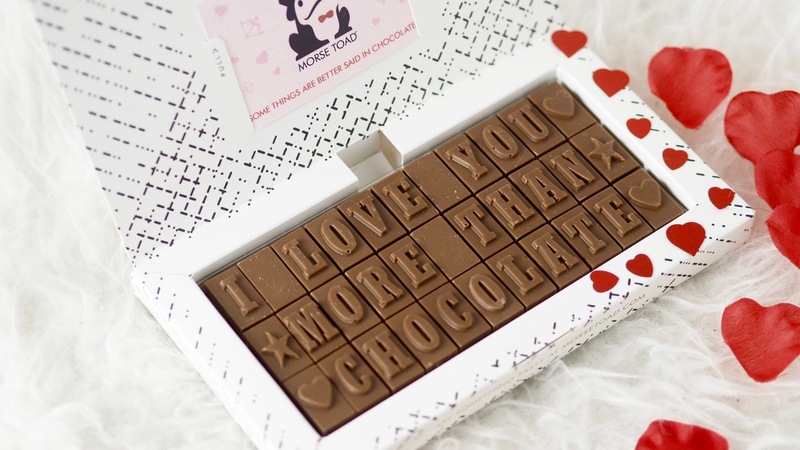 Morse Toad offer a range of personalised chocolate for any occasion and also have a range of pre made quotes for every occasion, the one I got was one of their pre made ones called 'I Love You More Than Chocolate', this includes 33 chocolates for £15.50. You also get a little card included in the box of chocolates that again you can personalise with either a photography or one of their designs and your little message. 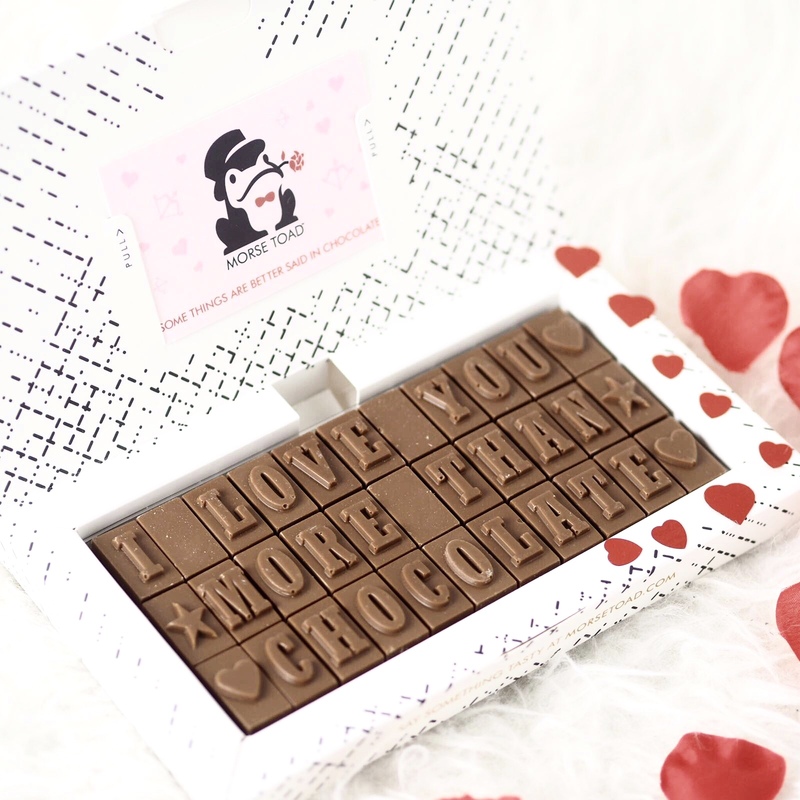 Like i mentioned earlier you can get your chocolate delivered to your recipients door if you wish although this is not necessary, this makes it perfect if you're in a long distance relationship or if your'e not seeing your other half this valentines! Even better they fit through your letter box so nobody has to be in to get the delivery! 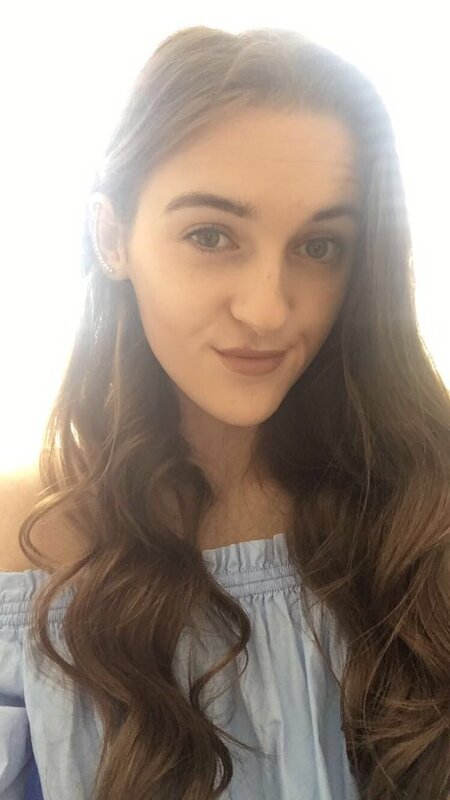 Overall I think these make a great present for valentines day, they are super cute and different and their service is outstanding! 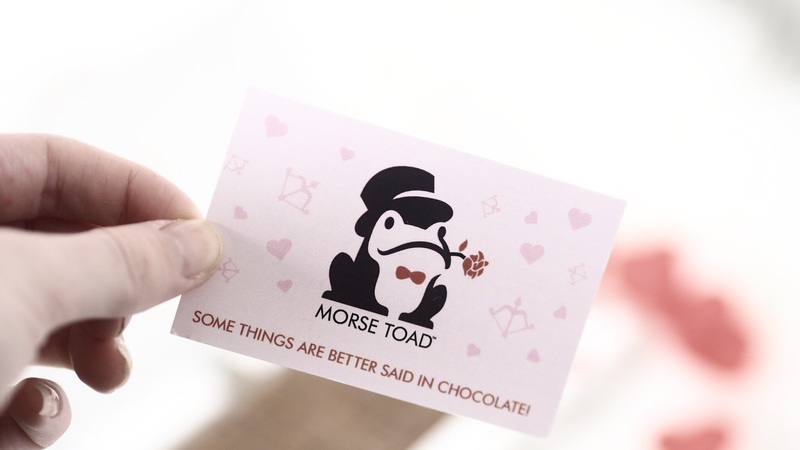 You can find the full range of Morse Toad valentines chocolate here. 7 comments on "Morse Toad: Valentines Gift! " This is such a cute gift! Amazing stuff! As we all know mostly people browse sites which are providing different tips or hacks that are used in our life. Your valentines day idea is really appreciable and edubirdie.com reviews provides well task. Keep it up!